We may periodically send promotional emails or direct mail about special offers or other information which we think you may find interesting using the email address or address which you have provided. Your information will never be transferred, sold or given to parties not directly affiliated with Junk Boss Ownership. As a local business, we care about you and your privacy a great deal and do not have any desire or need to share your information with outside marketing groups or companies. Should you wish to modify or delete your personal information with Junk Boss, please contact us directly via email at junkboss1@gmail.com or call us at 405-802-5865. Should you wish to opt out of future email communications, we will clearly label a link on our email newsletters that will allow you to “unsubscribe” from all digital communications. 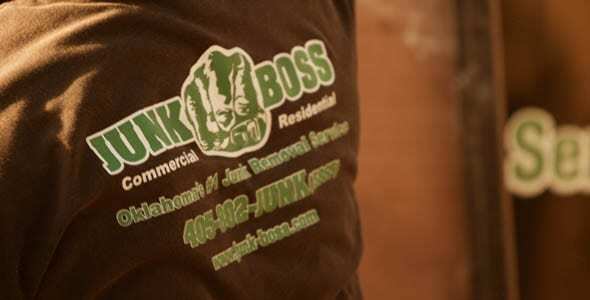 Should you wish to be removed from the Junk Boss Client List, please call 405-802-5865 or email junkboss1@gmail.com and we will promptly fulfill your request. Thank You For Your Interest In Junk Boss. We have prepared a form to get to know you and your project better.